Sweet tooth? 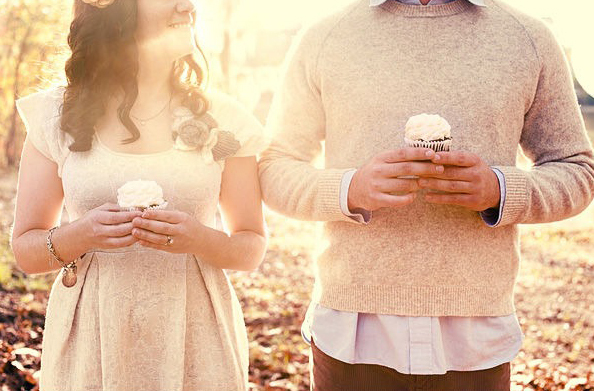 Cupcakes or mini cakes make great props, and are so cute! Young at heart? Bubbles make for a playful prop. Avid board game players? 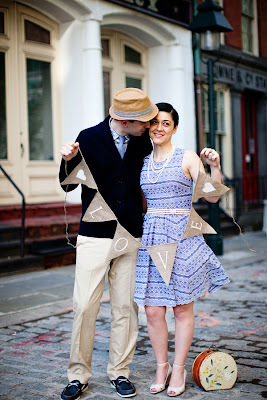 Use scrabble pieces to spell "LOVE" or your initials. Pennant signs are popular props for engagement and wedding photos. Spell anything you like! 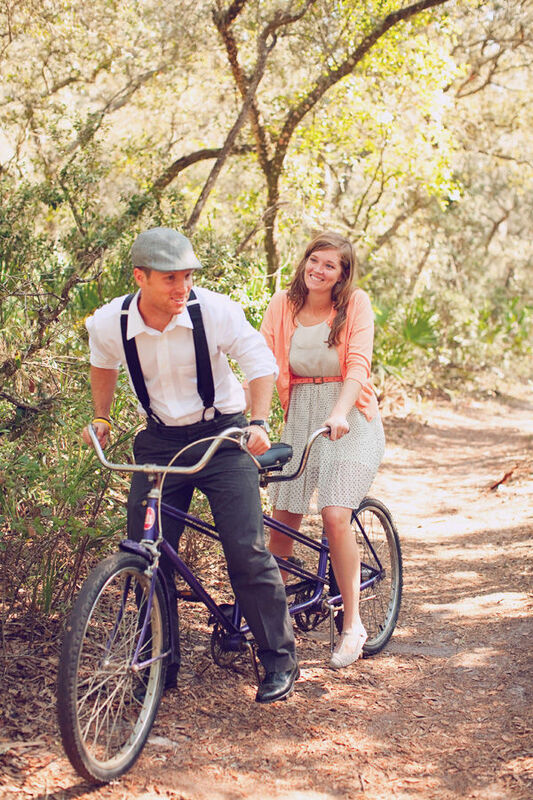 If you're an adventurous or sporty couple, add a bicycle to your photo session for fun.